Here at Native State Foods, our mission is to put real, wholesome nutrition back into our food system. So we work hard to create simple, plant-based foods that you could have eaten hundreds of years ago. This means no GMOs, nothing artificial, and only pure, premium, natural ingredients. When we decided to introduce pinole to the US, we knew we had an incredibly powerful food, and we wanted to share that with the world. Pinole (pih-nole) was created by the Aztecs and dates back hundreds of years. It is a special recipe that was crafted to provide energy and endurance, particularly for warriors. Pinole is as much about the ingredients that go into it as how its made. 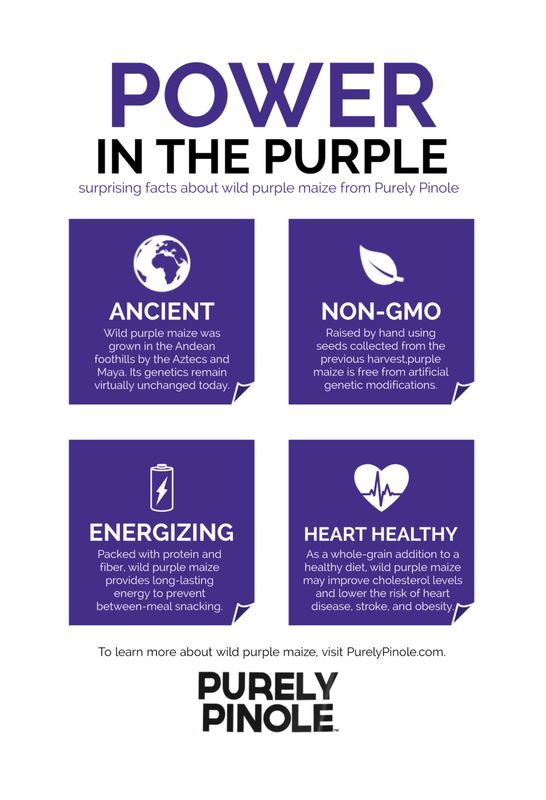 Today we want to share with you some of our favorite facts and tidbits about one of pinole’s cornerstone ingredients: a remarkable strain of ancient purple maize. Purple maize has been cultivated for thousands of years and its history and health benefits are extensive. Used to create what we know today as pinole, it was one of the reasons we were convinced that this incredibly remarkable food called pinole HAD to be shared with the world. Keep reading for more! 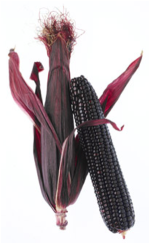 Cultivated throughout meso-America, wild purple maize has been around for thousands of years. The heirloom, identity-preserved strain used for our pinole is directly descended from this centuries-old variety, and today is specially grown on family-owned farms. Purple maize is full of free radical fighting antioxidants, which have been shown to help prevent and repair cell damage from injury, disease, and aging. In fact, the Whole Grain Council states that corn has the highest level of antioxidants of any grain or vegetable! Just one serving of pinole (boosted with the power of purple maize) contains twice as many antioxidants as a serving of blueberries, making it one of the most antioxidant-rich foods in the world! Packed with protein and fiber, pinole gives you the staying power you need throughout the day. Plus, purple maize is a whole grain. In fact you get 40g of 100% whole grains in every bowl! Whole grains have been shown to help reduce cholesterol, blood pressure, and risk of stroke. We’re mesmerized by the heritage of purple maize, and strive to preserve the ancient preparation methods used alongside it as we created Purely Pinole. Whatever your playground- the mountains, the beach, the open road, or even just energy for a day at the office – the powerful ingredients, like wild purple maize, found in Purely Pinole make healthy choices like this one even better! To learn more about pinole, the superfood that powered centuries of messengers and runners, click here or browse our blog for more history and lore.